I take the value of political analysis for granted. Which is why I loved writing the recent three part series on the politics of the Mass Effect universe. Along with an earlier piece on Far Cry 2, these articles use a single game to explore a host of ideas the way a history teacher might use a novel. I have skipped a valuable step. I forgot how important it is to articulate the political vigor of games in general. We work within a powerful medium, and I mean TNT powerful. I mean "I love Big Brother" powerful. 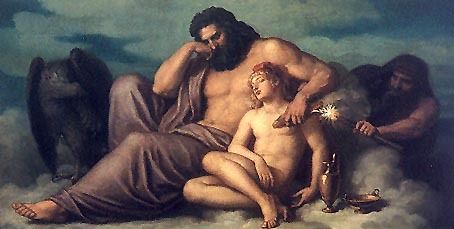 Prometheus was chained to a rock indefinitely for giving mankind a creative and destructive power such as this. It just took me a trip to Germany to remember. The Jewish Museum in Berlin houses an impressive array of historical information surveying a long history of Jewish life over the past two millennia. 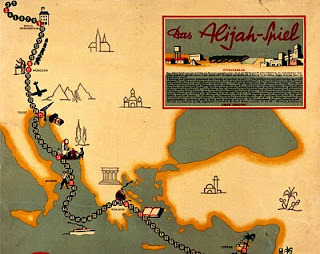 Within its collection, nestled amongst the tragic remnants of World War II artifacts, rests a board game titled Das Alijah-Spiel. Produced in the early 1930s, this simple dice rolling game was for and of its time. As discrimination and violence against the Jewish population rose, so did the appeal of Zionism and emigration. The game creators tapped into this predicament. Das Alijah-Spiel taught children about moving to Israel, the information they would need to know, and the skills they might want to improve before their departure. It also prepared them psychologically, normalizing the idea of a new home, cementing their identity within a diaspora community, and preparing them for a trip many children would undertake alone. Like most educational experiences, it was also a form of propaganda. Das Alijah-Spiel is representative of the activity and self-referential thought during a time of great confusion and suffering. Which is only natural - it is a game after all. 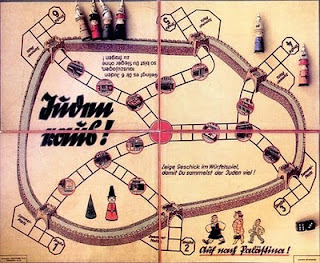 On the other side of the Third Reich coin, the Nazi's had their own set of board games for the young and old alike. The 1936 Juden Raus! ("Jews Out!") capitalized on anti-Jewish sentiment by tasking players with expelling as many Jews as they could from a walled city. It was not, however, officially Nazi approved. Adlers Luftverteidigungs spiel (Eagle Air Defence Game) was approved though, along with Bomber über England (Bombers Over England). Children in both games eagerly destroyed the cities heavily populated with the enemies of Hitler's Germany. These games fit into a larger propaganda campaign implemented by Propaganda Minister Joseph Goebbel's, normalizing, trivializing, misrepresenting, and justifying the bloodiest war in human history. Let's jump to the future. 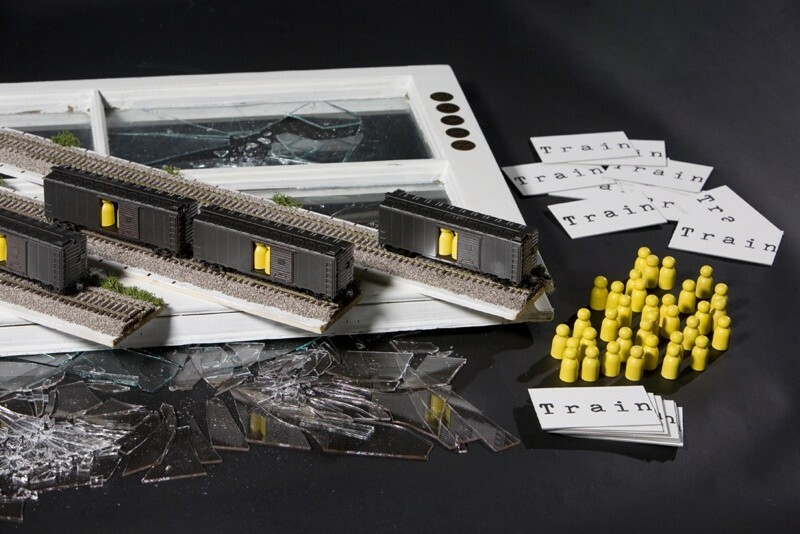 In 2009, esteemed game designer Brenda Brathwaite created Train, a single board game designed for limited exhibition, not mass consumption. Since its unveiling, the game has been lauded for its ability to evoke emotion with its mechanics. At its most basic, three players race to the end of a track, packing their train with pawns and sabotaging their competitors along the way. The big reveal? The destination is Auschwitz. The pawns are Jews and the players have been involved in genocide. Or not. If they catch on, players can attempt to derail their own train and impede all progress. Alternatively they could just get up and leave, itself a potentially valid game action. Naturally, the emotional response from players has been dramatic. Many players have been brought to tears. I concede the three examples above are different. Das Alijah-Spiel was educational while Bomber über England sought to indoctrinate. Both of these games were designed to be enjoyable for children, while Train met an exclusively adult audience. Brenda also avoided using the term "game" or "play" in her rules book completely. Without a doubt, Train is an "art game" in a way the other two are not. For my purposes, however, these differences are trivial. All of these games exist within a historical and artistic timeline. The political context of Jewish life in early 1930's Germany influenced the creation of Das Alijah-Spiel. By 1940 members of the Hitler Youth would be playing the game's ideological antithesis on living room floors. Sixty years later, Brathwaite would add her own interactive memorial to the events of those times. These games are related by history and by design. Like all games, they manipulate the human desire to play, disseminating information and sensations through action. Games are inherently political. We are cultural beings, ourselves composed of ingrained lessons, perceptions, and strong beliefs. We leave an ideological fingerprint on everything we create. As cultural artifacts, games are no exception. None of this is to say videogames in particular are, or should be, overtly political. Games do not have to be "about" something. Yes, you can enjoy a game without discussing race, class, gender or religion. But that too is insignificant. Games will be "about" race, class, gender, and religion anyway. It's only natural. After all, Crash Bandicoot shares the medium with the likes of Train. To completely avoid the medium's history, its potential, and the fact we imbue objects with meaning both intentionally and unintentionally, is self-administered ignorance. These very political games are the ancestors of today's titles, whether we like it or not. 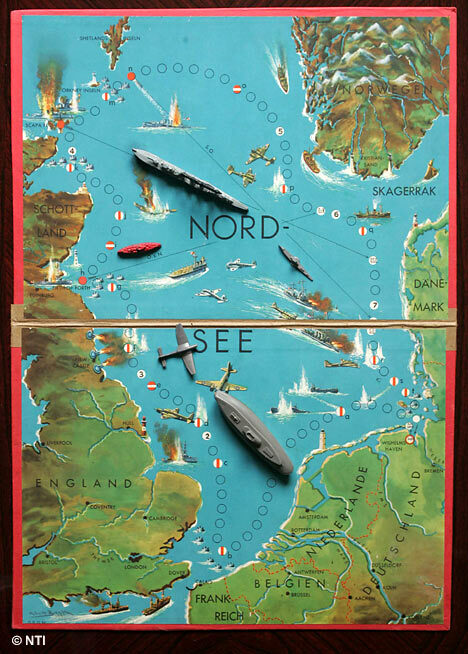 Despite their thematic divergence, Bomber über England and Das Alijah-Spiel are related. So too are Wolfenstein, Mass Effect, and Civilization. Being an inherently political and historical medium, games potentially hold great influence. They can evoke strong emotions and convey simulations just this side of reality. They can also indoctrinate children with violent propaganda, or they can help kids reimagine a peaceful world. Games For Change exists precisely because of these beneficial possibilities. Can games change the world? Absolutely. They already have. Does this mean we have to resign ourselves to a morose discussion of world affairs? Of course not. We can have our childish fun. We can revel in trivial delight. We can also have passionate critical responses to the most widely enjoyed games. We can talk about Heavy Rain's silly dialogue, and we can talk about how it depicts race and gender. These ideas are not incompatible - that is impossible. We can have our cake and eat it too! Such is the power of games. Das Alijah-Spiel, Bomber über England, Train? These make up aspects of the medium's past and future. They are our lineage, the good and the bad. Gamers and designers play with fire in all its dangerous warmth and beauty. This is not just a warning about the risks of game design. On the contrary, I don't think we play with fire wildly enough. Rather, this is a reminder. Have no doubts; we work within an immensely powerful medium. We would all do well to remember that. Oh whoa, fascinating! Very interesting Jorge. Interestingly, in the lead up to the Spanish-American war, William Randolph Hearst sponsored the creation of a card game called "War with Spain". Obviously a lot of the yellow journalism Hearst and Pulitzer did had a greater effect on the war starting, but it's still interesting. Wrote about it a little more here, if you're curious.